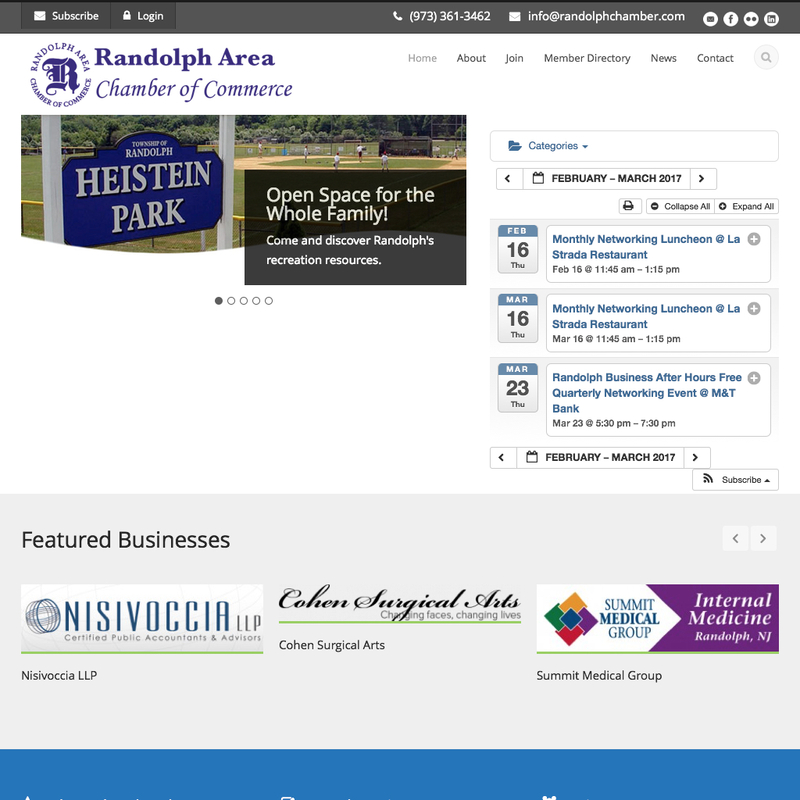 Digital Strategy Associates LLC is proud to announce the launch of the redesigned Randolph Area Chamber of Commerce website, randolphchamber.org. With a dynamic and responsive design, the new website highlights the business friendly community of Randolph, provides increased visibility to the products and services of existing members, and promotes the benefits of joining the Chamber. The WordPress powered website includes an interactive event calendar, searchable member directory, and integrates seamlessly with the organizations existing social media accounts..
Digital Strategy Associates collaborated with the chamber’s partners to identify, develop, and implement a website design strategy that addresses their existing needs and future goals. The newly designed, responsive website, looks great across all devices and computers, including tablets and smartphones. With an easy to use content management system, staff can post news and announcements.